And don’t forget to book your place for the UK Nationals in our Shop. 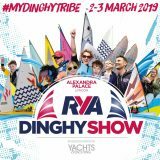 The Dinghy Show is fast approaching and the Association will be there in strength as usual. If not already on your ‘to do’ list, why not put it on your 2019 calendar, the date is 2nd & 3rd March and you will find us on stand B82 in the Great Hall. We shall have two boats on display courtesy of SP Boats and Duffin/Paintcraft, and a big thank-you goes to Steve Parker and Nigel Potter for making that happen. Nigel tells us that the Duffin boat will be brand spanking new and available for purchase directly after the Show, so if you are looking to buy a superb wooden version of the GP14, here is your chance to get one straight out of the box. 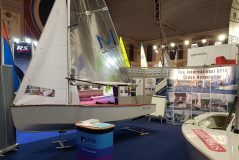 Steve Parker will of course be very happy to show you round his latest creation and discuss sales (and sails) tailored to your needs. We shall be running a series of short talks and tutorials throughout each of the two days and Ann Penny and the team will also be featuring on the Clubs and Classes Stage. If you haven’t bought your tickets for the Exe Sails Genoa raffle now is the time to do it via the Shop. and we shall be drawing the winning ticket at the Show. But be aware, we are not permitted to sell tickets at the Show so do not delay, do it today! Preparations are going well and we are looking forward to seeing lots of friendly faces as well as lots of keen potential new owners, so do come and visit the stand and help to fly the GP14 flag if you can. In line with the feedback received to date we are intending to arrange a Cruising Week in the Milford Haven Waterway, most probably based at Lawrenny for one week within the fortnight July 20th to August 3rd. We hope to arrange a 4-day Cruising/Camping event in Poole Harbour spanning late May & early June. We also hope to arrange one upriver day cruise on the Mersey and also (separately) one down-river day-cruise there; both these hosted by Liverpool Sailing Club. 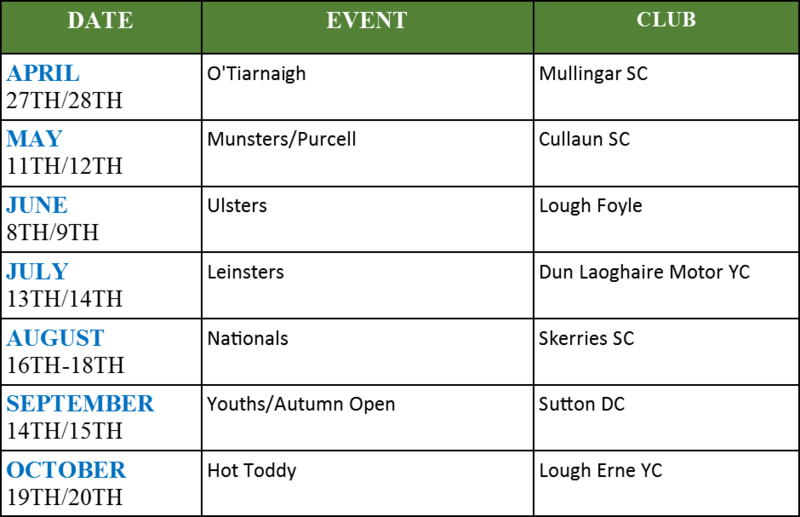 We would like to offer other shorter events as well, if your club would care to assist us, please. YOUTH TRAINING WEEK – SAVE THE DATE! PLAS MENAI – Sunday July 28 to Friday 2 Aug.
We are pleased to announce that we will be running next year’s Craftinsure and E Howard Davies Youth Training Week at Plas Menai from Sunday July 28 to Friday 2 Aug. This is the week immediately before the UK 2019 National Championships at Abersoch, just a short drive down the Welsh coast. Putting the two weeks together will be a great opportunity for our youth fleet improve, develop and have lots of fun! As in previous year’s the training week will be fully residential with volunteer house parents and excellent value thanks to the continued support of Craftinsure and the E Howard-Davies Memorial Fund. We hope to announce full details in early April. Twenty-two brave GP14 sailors and 11 boats from Skerries, Sutton Dinghy Club, Newtownards Sailing Club, Donaghadee Sailing Club, Greystones Sailing Club, Youghal Sailing Club, Royal St George Yacht Club turned up in the chilly waters in Skerries on Saturday shaking off the holiday cobwebs for a fun filled afternoon to celebrate one of the class’s legends, Curly Morris, who was celebrating his 75th birthday. There were three short races pencilled in by Officers of the Day Olive Rooney and Sam Shiels. However, the sailors were so keen they requested a fourth race, as the eleven GPs enjoyed near-perfect conditions with 8-12 knots from the north west providing ideal conditions for sailors who may have been worried about some off-season rust! Gerbil Owens and Melanie Morris showed great form for the start of the season winning all the races in comfortable style, with Curly Morris, Hugh Gill and Michael Cox proving consistent as usual. With boats travelling from both the north and south of Ireland there was fantastic competitiveness with tight racing from start to finish. 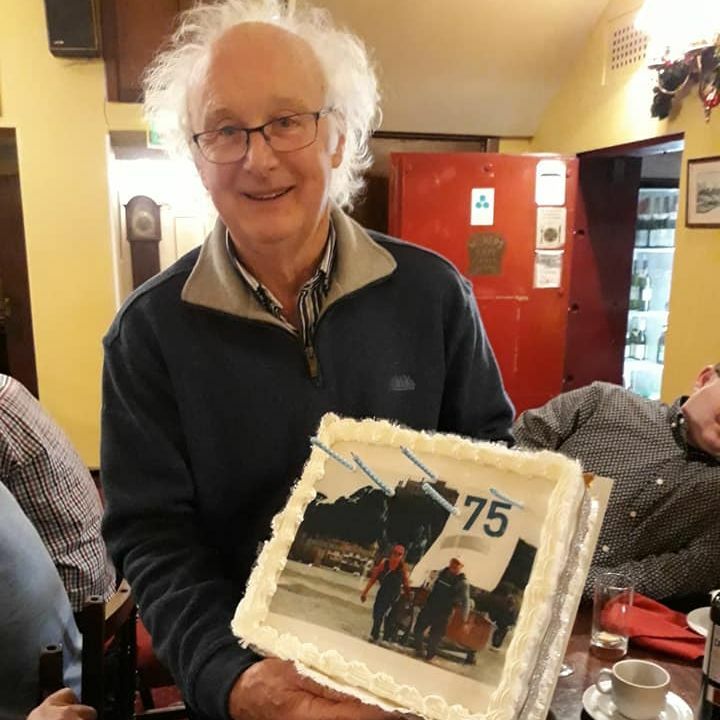 All sailors returned to shore for some well-earned drinks and toasties in the clubhouse. The afternoon’s sailing kicked off an exciting programme ahead for Skerries and the GP14 class. Skerries Sailing Club is due to host the Irish Nationals later this year over the 16,17,18 August. The Nationals will be a great warm up event for the World Championships that are due to be held at the Club on 25-31 July 2020. Both events are sure to attract sailors and their families from far and wide in what promises to be two great regattas. 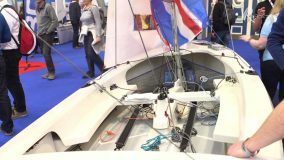 The Irish Nationals in Skerries will be a good opportunity for British sailors to try out Skerries before the World Championship in 2020. We will be running Gate starts as well!